When you need an affordable quality vehicle, let us work with you to provide the maximum transportation for your dollar. We always have vehicles onsite for you to look at and if you don’t see what you are looking for then just let us know and we’ll find it. Currently we do not have our vehicle inventory available online but check back in the future because this page will let you browse or search our current inventory. All of our vehicles are fully refurbished and inspected by our service team prior to being offered for sale and are ready to go when you are. 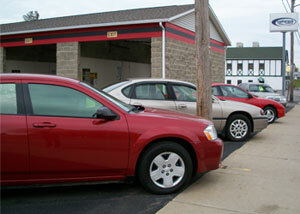 To schedule at test drive call 607-324-1750.